Made from unadulterated, pure copper. Crafted by skilled artisans using the traditional hand hammering technique. Perfect way to start drinking "tamra jal". 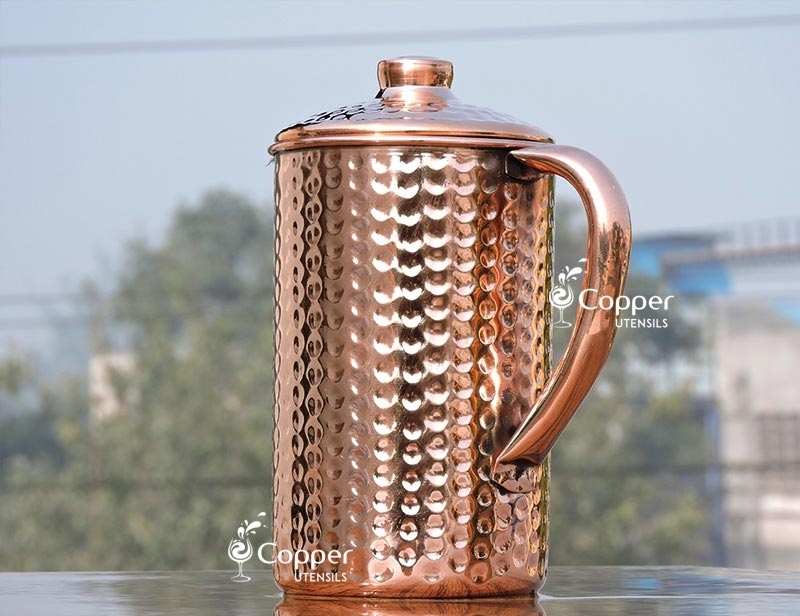 Water stored in Copper vessels has anti-inflammatory and anti-oxidant properties and has been proven to benefit the overall well-being of an individual. 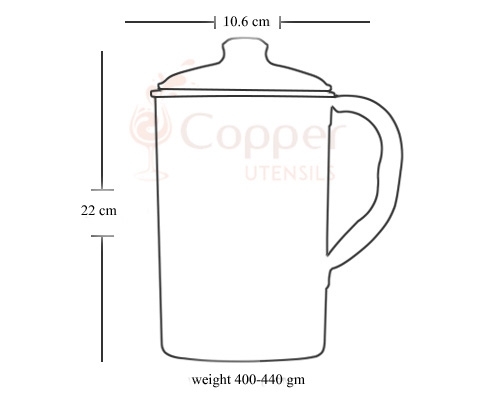 Water stored in a copper utensil takes up the healing properties of copper. 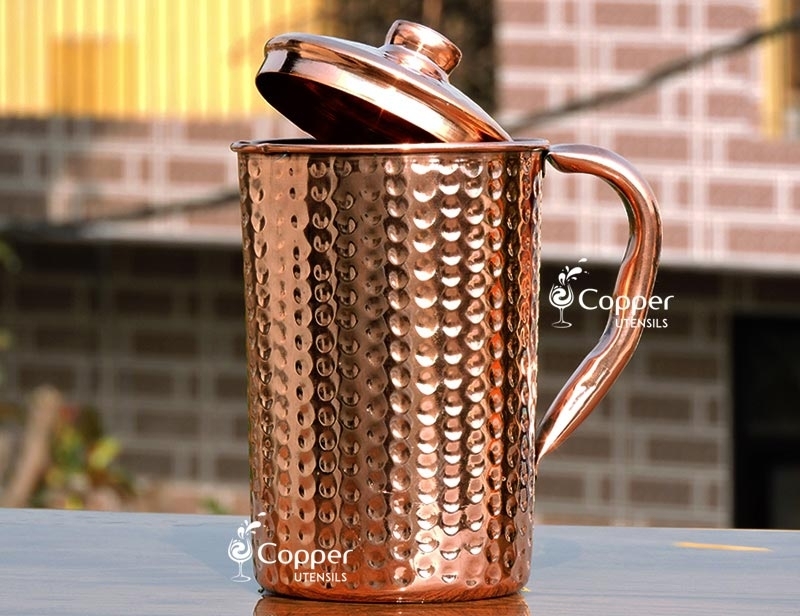 For those who want to reap the benefits of copper water our hand hammered pure copper jug is the perfect way to get started. 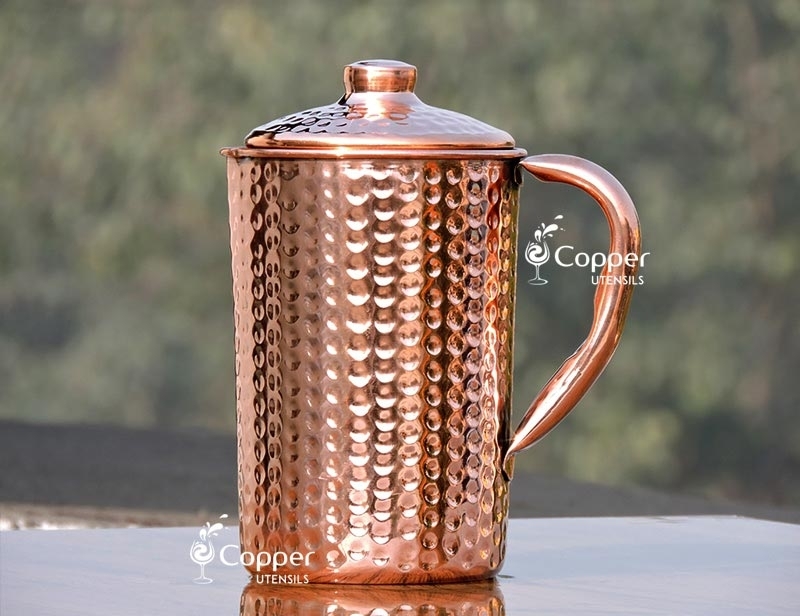 As compared to steel or plastic the water stored in copper utensil stays fresh and cooler for longer. 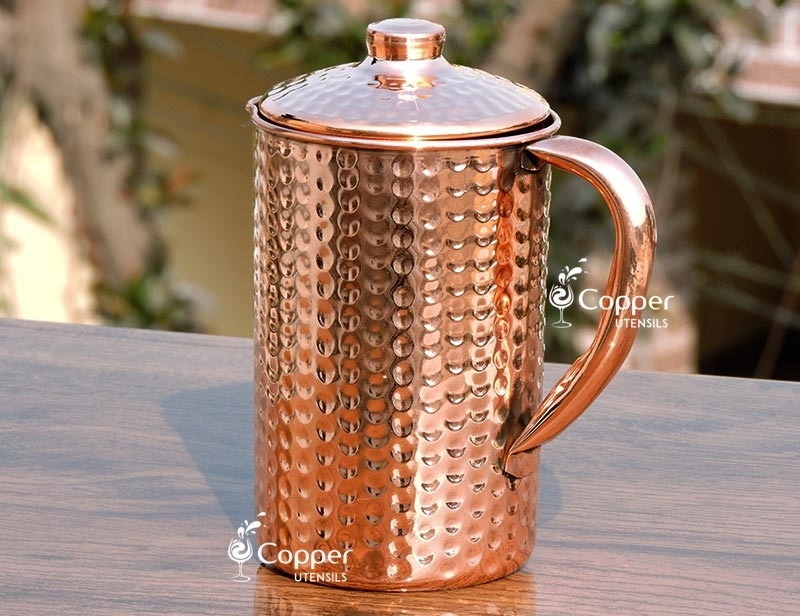 The natural anti-bacterial properties of copper help in killing the bacteria and thus you get water that is free of any germs or bacteria. One of the most common dilemmas of people related to pure copper utensils is the natural fade that occurs with the passage of time. But this problem can easily be tackled with regular cleaning of the utensil. 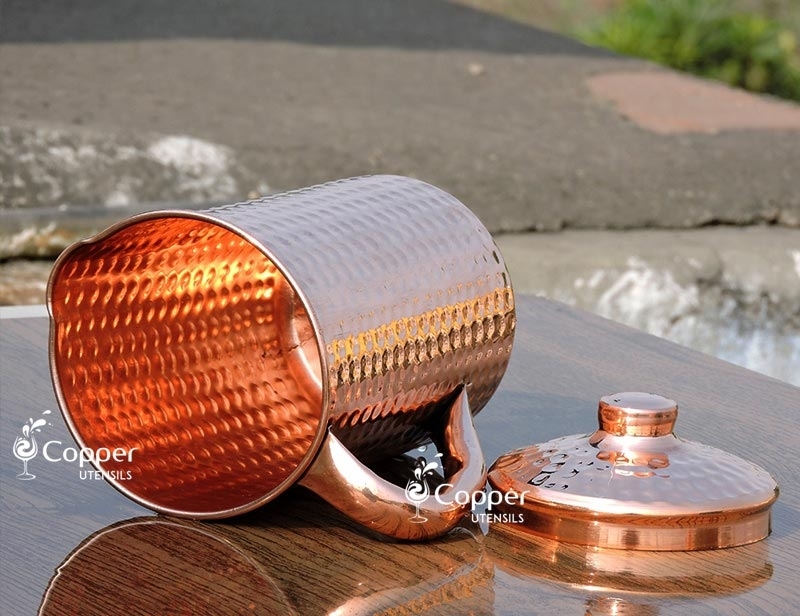 Copper utensils need to be cleaned every other day with a solution of lemon and salt to maintain their natural shine. The pitcher looks as presented and is a nice addition to the kitchen. I look forward to years of using it, with the health benefits! Beautiful absolutely Beautiful!! Thank you for the great service and beautiful products I am totally enjoying my Pitcher! I love my beautiful pitcher. 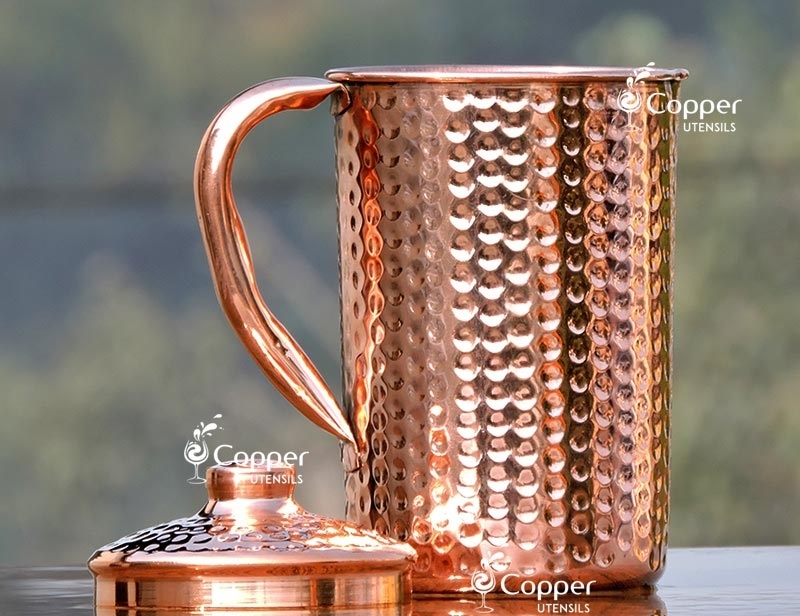 We use a water purifier and it takes a lot of the minerals out of the water, storing in this pitcher adds copper back into the water making a healthy drink of water. The beautiful solid copper inside and out. Nicely hammered. It took very long to get the product delivered. 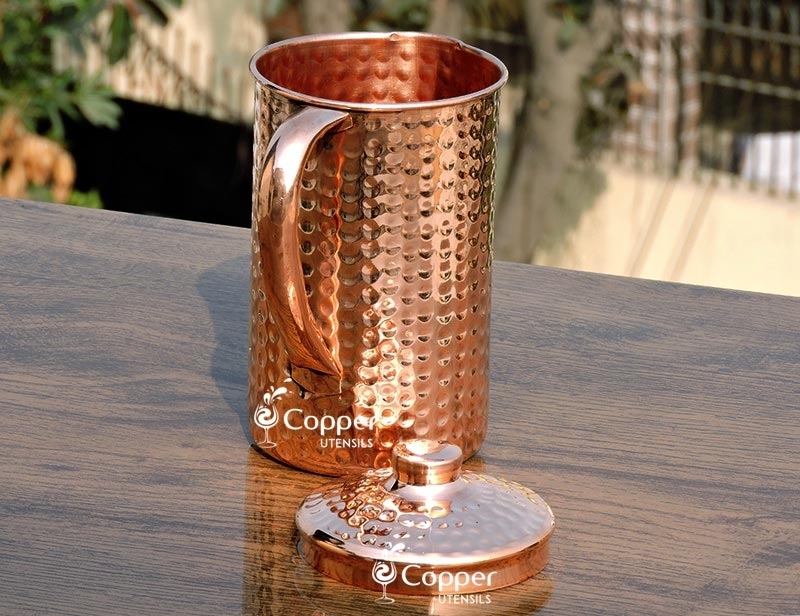 I really enjoy drinking water from this copper pitcher because of it is benefits for my health. I get this copper jug very early as my expected. 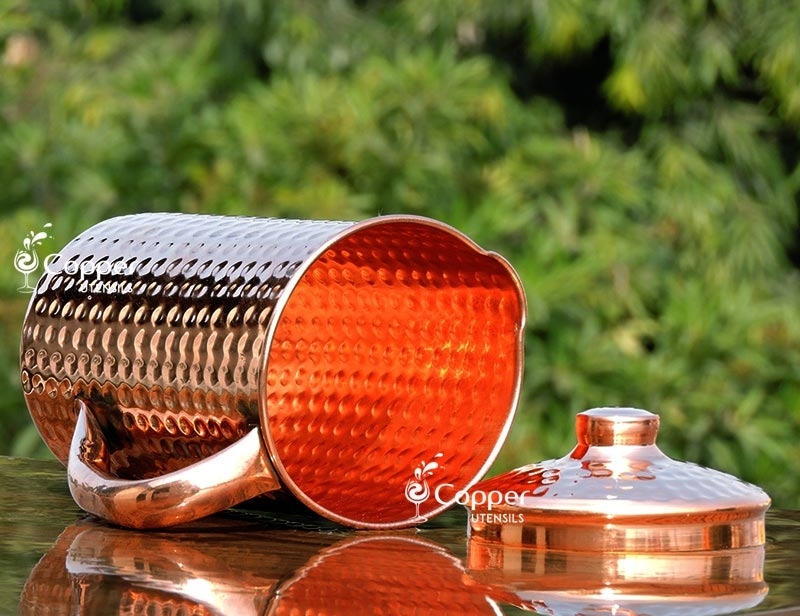 Very high quality, good design, pure copper. I like very much. 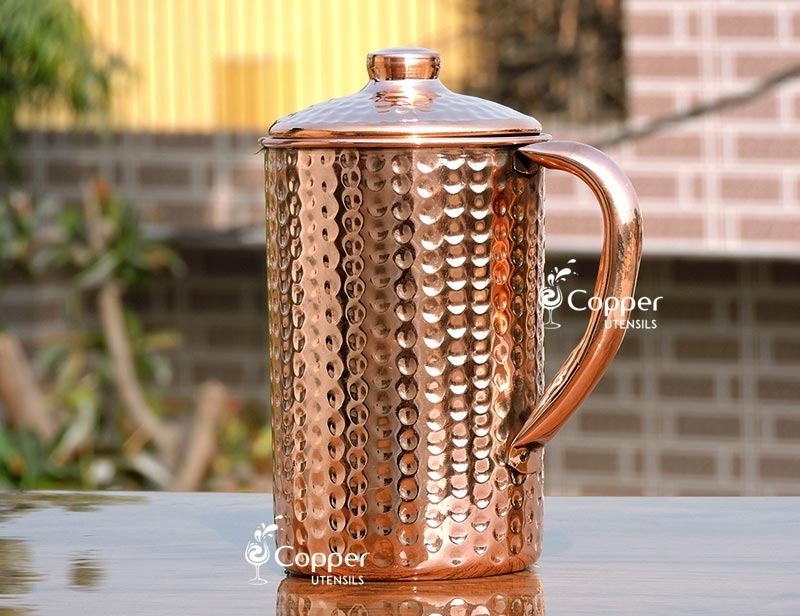 My copper pitcher is very beautiful. Good value great quality.